DMS Versioning and automatic publishing. Approvals, automatic email notifications and other Workflows. Excel and Analysis Services – secured reporting within your intranet. Department and Project sites to centralise collaboration. Many additional templates and applications. SharePoint is a big flexible system and is continuing to evolve quickly thanks to the new more open standards “App” model. You can integrate SharePoint with Azure databases to reduce licencing cost, system maintenance and hosting – or have a hybrid system where you keep critical data on-premises. You can get some great value – and the support from Microsoft is good too. 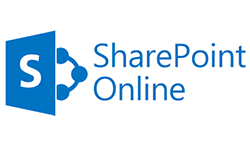 Check out the free trial, on-premises licences or just contact us to find out how to make SharePoint work for you.